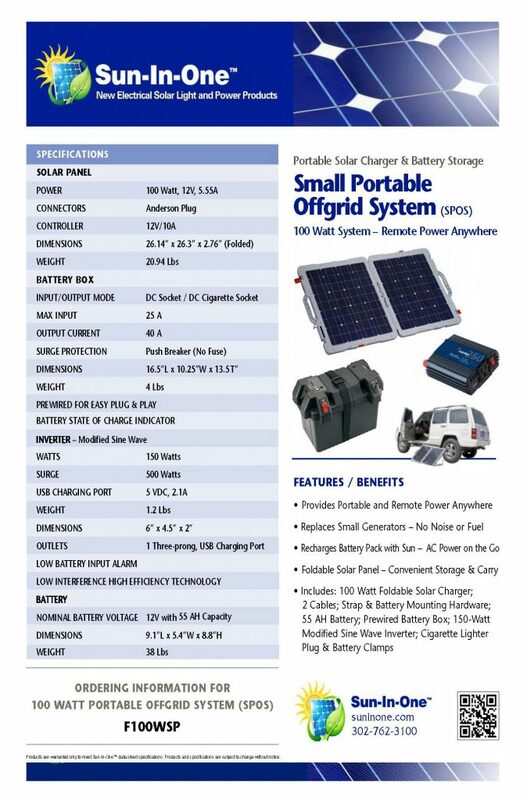 The Sun-In-One™ Foldable 100 Watt Solar Panel is powerful, compact, durable, lightweight and has a cooling fan controlled by a temperature sensor to prevent overheating. The panel folds up neatly into a carrying case with a handle for easy portability and storage when not in use. The sturdy ABS water-resistant frame offers great protection and has a steel bracket stand that adjusts for optimum gathering of power. Built-in storage compartments hold the three different connectors and cables (included): Anderson Plug, Crocodile, and Cigarette Lighter with 15 FT of cord from panel to the battery. 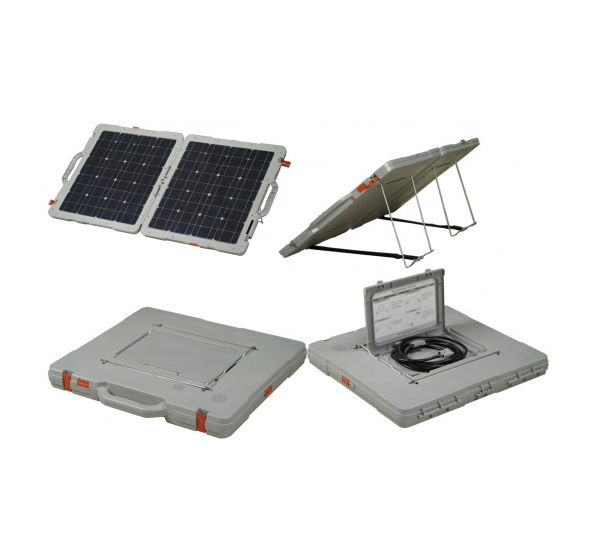 This panel is engineered to work in conjunction with the Sun-In-One™ Portable Battery Box and together with a 12V battery can be used to power LED Lighting, AC Appliances, Laptops or other 110V circuit purposes. Most of the Sun-In-One™ products work in conjunction with one another.